Naturopathic Medicine is a distinct form of primary health care – an art, science, philosophy and practice of diagnosis, wellness and prevention. Naturopathic medicine offers safe and effective traditional therapies with state of the art advances in modern medicine. It strongly promotes personal healthcare services which focus on treating the “whole person” through mind, body and spirit for maximum well-being. Naturopathic medicine is fitting for the management of a wide range of health conditions affecting all people of all ages. Health care costs are continually growing but people are not getting any healthier. About half of all American adults have a chronic illness. Commonly, people know that they have a condition, but do not know how to promote wellness. One of the most important things we do at CNH is take that extra step to help educate our patients about how to naturally keep themselves and their families healthy. To us, health is an investment, not just something you can quickly fix. Regaining and maintaining health is a process. We work with you in this process to help support your health initiatives, no matter what health issue you may be dealing with. Wellness and prevention starts with the daily choices–what we choose to eat and drink affect our bodies. The first prescription that any doctor should write should be nutritional counseling. You can never go wrong when you eat a well-balanced and healthy diet or use dietary supplements to get the nutrients you may be lacking. Many dietary changes promote wellness by reducing inflammation, chronic pain and more. The choices we make every day—such as where we decide to work, live, and react to life’s events—all affect our health short and long term. A lot of health problems and risk factors for illnesses stem from the choices we make: how much time we put into at our jobs, exercising and relaxing, time spent with friends and outdoors, and whether we always take the stairs or the elevator. Even minor changes can make a big difference. 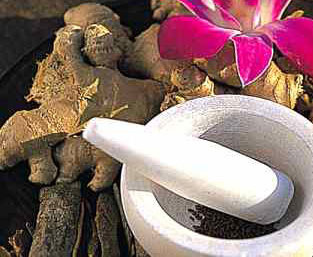 Alternative and holistic therapies such as homeopathy, nutritional supplementation, yoga, and herbal medicine can supplement, and even replace, conventional methods. Various treatment and therapies work to nourish, nurture, and augment the body’s own defenses while promoting overall health and well-being. Holistic treatment options have been proven to help relieve pain, stress, and acute/chronic illnesses of all kinds. At CNH we offer many effective, safe, natural options which include dietary changes (clinical nutrition), homeopathic medicines, nutritional supplements, herbs/botanicals, daily exercise and a stress management plan supported by counseling. If you need any guidance on wellness and prevention using a natural approach, please call our office today. Our team of experts at CNH would be more than happy to answer any questions you may have about prevention and wellness.